In Business news: US Homebuilders highlight the folly of Trump’s protectionism (in The Hill); the Ontario Alliance questions who will stand up for forestry across the province; an Austrian jet interior maker opens a wood-veneer plant in Quebec; and the Southern Forest Products Association honours Canfor and Weyerhaeuser for their outstanding safety records. 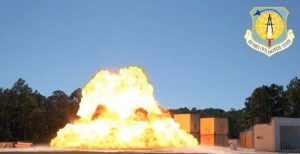 Finally, Ontario receives federal assistance for mass timber demonstration projects; US WoodWorks highlights its blast tests on mass timber’s strength; and Denver gets a wake-up call on the dangers of construction fires. As the Trump administration weighs imposing steel and aluminum tariffs on U.S. allies, most mainstream economists are warning that such protectionist trade policies will result in harsh negative repercussions for the domestic economy. …A real-life tariff situation that my organization has monitored closely that has been flying under the radar for more than a year provides a clear answer. …The punitive tariffs slapped on Canadian lumber exports into the U.S. exacerbate market volatility and put upward pressure on lumber prices. But most important, the tariffs have steeply increased domestic lumber producers’ profits. …Adding insult to injury, even as American lumber producers seek relief from alleged unfair trade practices by our neighbors to the north, they have boosted profits by exporting increasing amounts of lumber. At the very least, these U.S. exports should be discouraged when there is a critical need at home. …Ontario’s forestry community is deeply rooted in every region of the province. Today, Ontario’s forest products sector provides well-paying jobs for 57,000 … in over 260 communities across the province. …With workable public policy that fundamentally supports this renewable sector, Ontario can lead the way in forestry. President of NOMA and Mayor of Shuniah, Wendy Landry, stated, “We need government to acknowledge the vital role that forestry plays in our communities across Ontario and for those hardworking families that are directly impacted by the sector.” Landry continued, “…We look forward to receiving meaningful responses from the parties on how they will help make Ontario’s forest sector stronger.” …Key issues are outlined in The Alliance’s 2018 election commitment letters to all three parties. …The letter outlines how Ontario can develop a Provincial Forest Strategy that accepts and embraces the sustainable use of Ontario’s forests. Summary: Lumber has tripled since September 2015. Demand continues to grow. NAFTA and trade policy have caused supply concerns. The lumber market is thin. Wood is due for a correction. Lumber is an essential ingredient when it comes to construction. Lumber is one of many industrial commodities that reflect economic conditions, and the price of wood can be highly volatile. While many speculators trade other raw materials in liquid futures markets, lumber is another story. 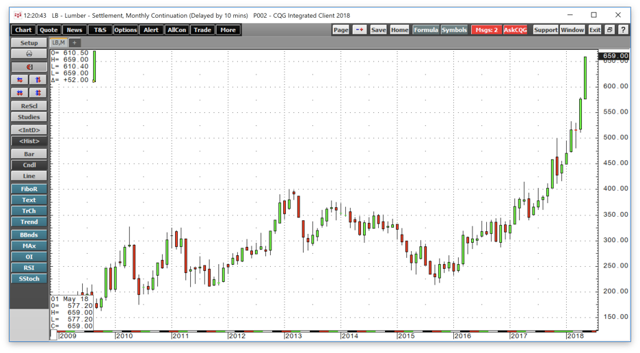 While lumber is not a popular trading market in the world of futures, the price is a significant barometer for the strength of industrial commodities. Over recent years, the price action in the wood market has been signaling that economic growth is rising and the demand for raw materials and the building blocks of construction is booming. We commend these companies for their effort throughout 2017,” said SFPA Executive Director Tami Kessler. MONTREAL — Austrian jet interior maker F. List Gmbh officially inaugurated a new production facility in Laval, Que., today and says it will hire up to 100 people within the next two years. The Laval location is the high-end manufacturer’s first plant outside Thomasberg, Austria, where it is headquartered. 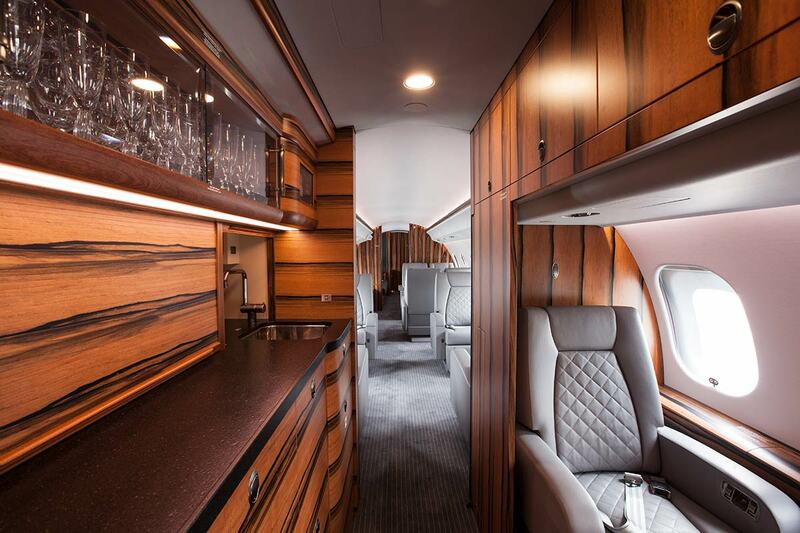 The nearly 5,500-square-metre (or 59,000-square-foot) plant will provide wood veneers for business and executive jet interiors, finish and assemble interior components, and refurbish interiors, among other things. The company will invest more than $20 million in the facility, including $10 million by the end of the year. CEO Katharina List-Nagl says in a statement that investing in Canada is very important to the company’s future growth and success in aerospace. Recently announced funding for Ontario’s Mass Timber Program will lay the foundational blocks for innovative, new building techniques using wood, according to Ontario Wood WORKS!, the provincial voice of wood construction advocacy. Marianne Berube, the organization’s executive director, noted that, while Natural Resources Canada has dallied in grants for mass timber developments, this is the first time the province has offered assistance for mass timber demonstration projects. “It’s something new,” she said. “It’s innovation; it’s pushing the limits, and that’s what this funding’s for.” …Now, the popularity of wood-frame construction has risen to the point that Wood WORKS! is tracking the progress of 125 projects across Ontario. …The next cycle of building code changes is scheduled to take effect in 2020, and, if approved, they’ll allow for mass timber construction up to 12 storeys, Berube said. Prior to a deadly fire that broke out at an apartment building construction site in March, the Denver Fire Department had not responded to a three-alarm fire since 2013, officials say. Little more than two months later, the department is sifting through the ashes of another three-alarm blaze. …The causes of the two recent fires remain under investigation, but officials say the incidents are a wake-up call about heightened fire danger at construction sites. 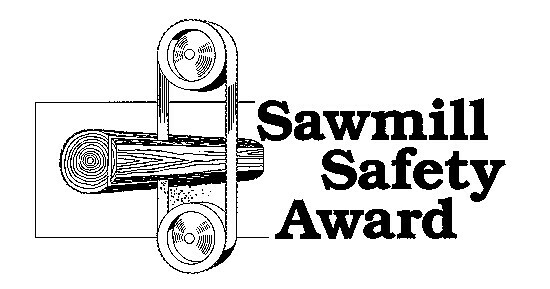 …Firefighting and construction industry professionals say wood-frame buildings are largely fire safe once completed thanks to measures like sprinkler systems, but when those systems are either not yet in place or not yet operational, wood remains highly combustible. Major trade organizations in Colorado, already on high alert following the Emerson fire, are now moving quickly to roll out additional education and training opportunities centered on best practices for job-site fire safety. The Open Source Wood initiative was launched in June 2017 by Metsä Wood in order to accelerate growth in urban wood construction. The new opensourcewood.com offers a platform for knowledge sharing and collaboration. The service is free and welcomes all organisations and individuals. The Open Source Wood initiative aims to speed up the growth of modular wood construction by making innovative ideas freely available for all. Only a fraction of urban construction today is wood, partly because the knowledge about using wood in construction has been difficult to find. Open Source Wood gathers innovations in modular wood construction from all corners of the world and makes them available for all, free of charge. Stora Enso is launching its wood-based biocomposites, DuraSense™ by Stora Enso. This is another major step on the group’s journey to replacing fossil-based materials with renewable solutions. DuraSense is available to companies seeking high performance and a sustainable, bio-based alternative to plastics. DuraSense enables the use of renewable fibres, such as wood, to substitute for a large portion of fossil-based plastic. …“Reducing the amount of plastic and replacing it with renewable and traceable materials is a gradual process. With DuraSense, we can offer customers a wood fibre-based alternative which improves sustainability performance and, depending on the product, significantly reduces the carbon footprint – all the way up to 80%,” says Jari Suominen, Head of Wood Products at Stora Enso. The 2018 fire season in Canada has begun, and Natural Resources Canada’s wildland fire researchers are forecasting much of Canada having above normal fire risk. Multiple climate models suggest most of the nation will have above normal temperatures, with some regions also experiencing drier than normal conditions. They stress, however, that while conditions in these areas may be conducive to widespread or intense fire behaviour, fire events depend on lightning or human ignitions occurring and under suitable conditions. Dry winter conditions in southern Manitoba have lead to spring fire activity. A rapid change from winter to summerlike conditions in the remainder of the Prairie Provinces and western Ontario may cause a gradual increase in fire danger before summer arrives. KAMLOOPS — The report on the review of last year’s floods and wildfires has been released, right in the middle of a brand new flood season and on the brink of a new wildfire season that might rival 2017. …It’s the first major examination of disaster response in B.C. since the Filmon report on wildfires in 2003. Abbott and Chapman conclude that B.C. has made “disappointingly little progress” on enhancing community safety since then. They conclude there’s been a lot of planning but not nearly enough action. The excuse they heard was that local governments are too bogged down with spending on infrastructure to direct money toward flood and fire prevention. Clearly, the report shows, something has to change. Jed Cochrane starts forest fires. But he’s not an arsonist — the government pays him to do it. On Monday the Parks Canada forest ecologist was preparing to burn 50 hectares of Cape Breton Highlands National Park. “In terms of dropping the match and starting the ignition, it could be tonight, maybe tomorrow,” said Cochrane. “You’re closely watching the weather for how hot, how windy, how dry it will be.” The controlled burn — the largest conducted in Nova Scotia and perhaps the Maritime provinces — is meant to counter the effect of our habit of putting out fires. …Parks Canada’s goal is to start a fire that burns hot enough to kill off the young spruce and fir along with the leaf litter on the forest floor, open up some holes for sunlight in the canopy, and allow the pine and red oak seedlings to out-compete the shorter-lived boreal forest species. A group of senators from western states want to expand a national effort to boost timber production and restore natural conditions on overstocked forests using thinning and other restoration work. 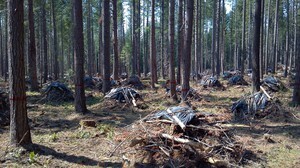 Legislation sponsored by Sen. Jeff Merkley, D-Oregon, and Sen. Mike Crapo, R-Idaho, would extend the Forest Service’s expiring Collaborative Forest Landscape Restoration Program for the next 10 years and double its annual budget to $80 million. 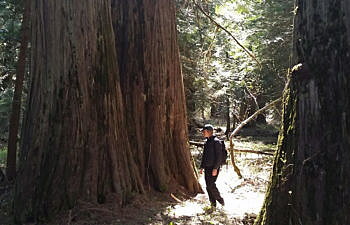 “It makes our forests healthier, more fire resistant. It creates jobs, creates saw logs. This is a really valuable program,” Merkley said. The projects under this program pairs timber companies with local communities to do work in forests that became overstocked after decades of suppressing natural fires. …The bill has the backing of a wide array of environmental and timber groups. Surrounded by city high-rises and paved concrete streets, a group of young trees burgeon straight upward toward the sky. 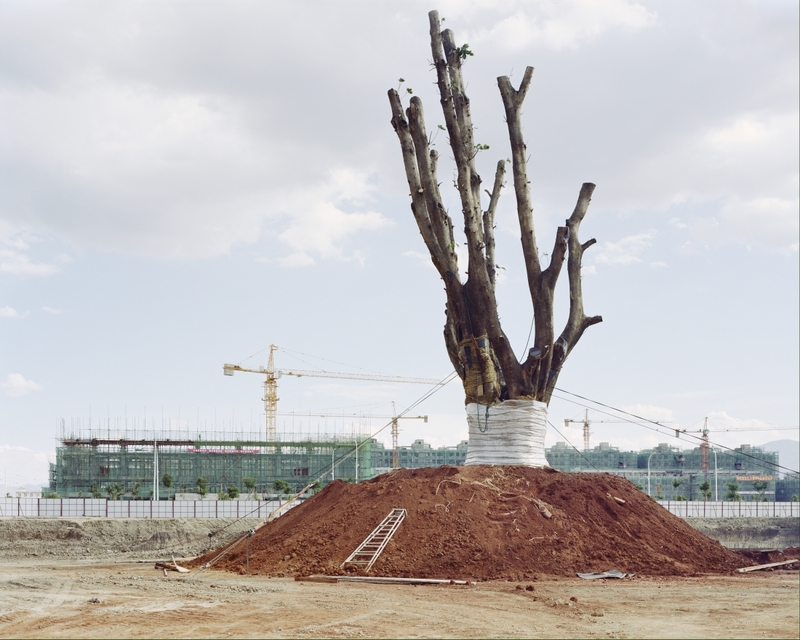 Elsewhere, a mammoth three-hundred-year-old tree stands with branches supported in front of the skeleton of a hotel complex under construction. The tree trunk is enveloped in plastic, which is wrapped around the wood like a bandage protecting an injured body part. 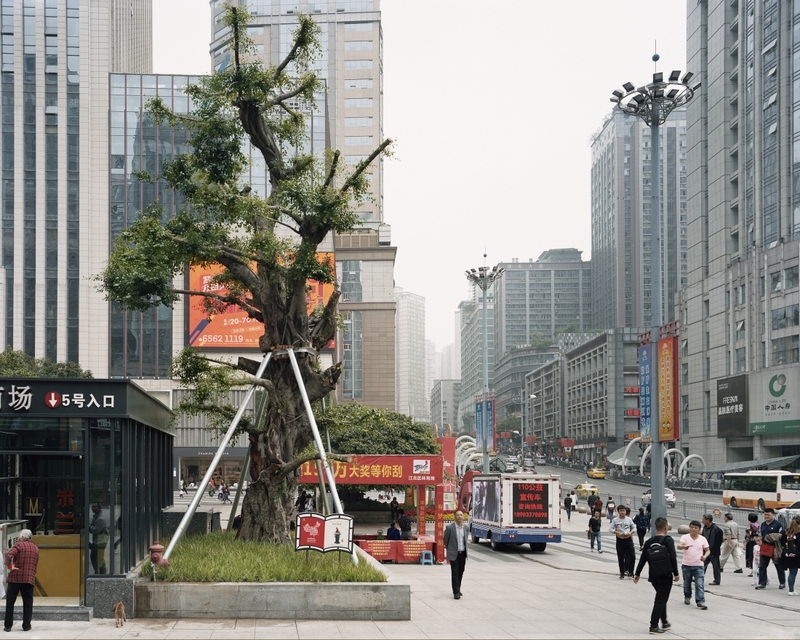 Both observations can be found in the photographs by the artist Yan Wang Preston, who has spent several years documenting how individual trees in rural regions of China are being replanted to make way for urban developments. She discovered a flourishing trade in transplanting nature and confronted the question of to what extent the uprooting and replanting of trees reflect a general image of society. While the Northwest Territories’ wildfire season has yet to officially begin, residents are already being affected. The highway connecting Alberta and the NWT was closed on Saturday, May 12, as a forest fire jumped the road – forcing a state of emergency for the Alberta community of High Level. …“The increased danger is due to large areas of dead, dry grass and gusty winds. These areas will ignite easily and spread quickly, creating erratic, hard to control wildfire; please use extreme caution,” warned Alberta’s government. …Imaging from NASA’s MODIS satellite program suggests there have yet to be any wildfires north of the Alberta border in the 2018 season. The potential for drought and large wildfires looms over the summer. It’s only May, and it’s already shaping up to be a stressful summer for many western states. Low mountain snowpack is a big part of the problem. …Meanwhile, states across the Southwest are bracing for what may well turn out to be an above-average fire season, due to dry conditions and an early start to the summer blazes. At least 10 major wildfires have already burned tens of thousands of acres in the western states, with the Arizona Tinder Fire…claiming more than 16,000 acres alone. 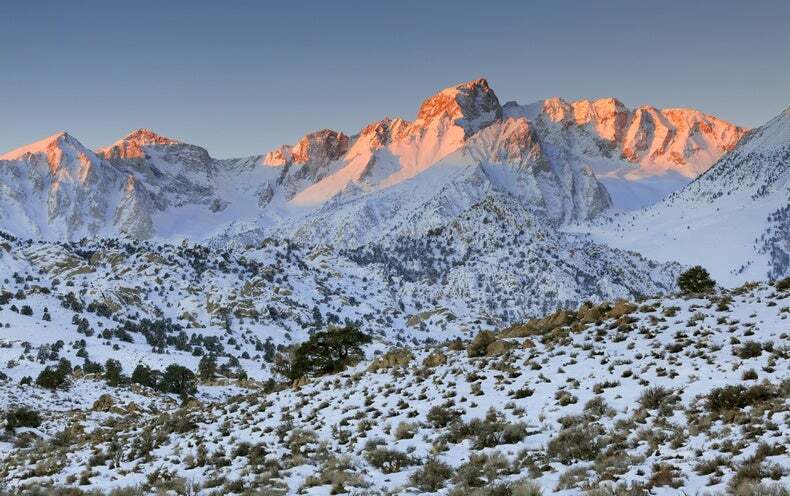 …Studies show that snowpack has been declining throughout the western United States for decades. And climate change is expected to worsen the problem in the coming years.